Make your laundry cleaning duties simpler by adding the Alpine PVC 45 Litre Laundry Cabinet & Sink to your home. This laundry cabinet and sink combo is highly functional with no added frills. 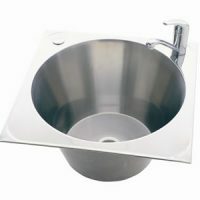 It is equipped with a 45 litre stainless steel bowl and is available in a glossy white finish. 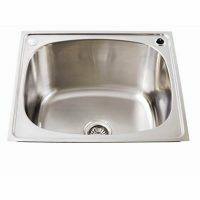 It comes fully preassembled and is designed for easy installation. 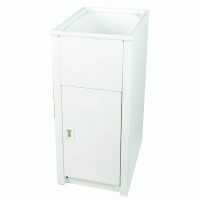 Manufactured using top quality PVC board, the PVC 45 Litre Laundry Cabinet & Sink also features a 2-pack painted surface therefore, it completely waterproof. Even after years of substantial usage, it will not attain any water damage. It is a single bypass cabinet and also includes a stainless steel waste. Two soft closing doors with chrome handles are also included. The cabinet measures 859x627x470mm in dimensions. 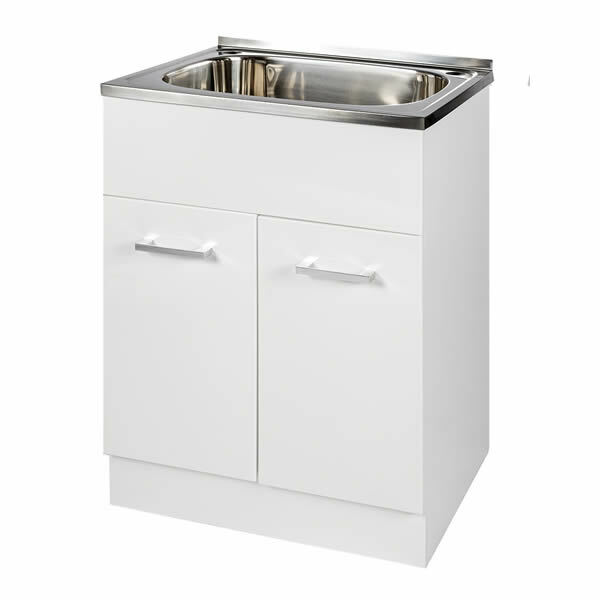 Alpine is a reputed Australian manufacturer and the PVC 45 Litre Laundry Cabinet & Sink is a fine example of the high standards of quality set by this company. Alpine offers a solid manufacturer’s warranty of 5 years, which covers the workmanship and materials used at the time of manufacture of this cabinet. At Ross’s Discount Home Centre, this Alpine Laundry Cabinet & Sink is currently available at an unbelievable bargain. So what are you waiting for? Buy this laundry cabinet and make your chores simpler!